Egypt's foreign ministry has denied media reports that Egypt and Arab Gulf states are planning to intervene militarily against Shia Houthi rebels in Yemen. 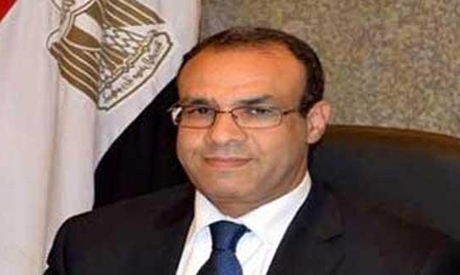 Foreign ministry spokesman Badr Abdel-Atty told Al-Ahram Arabic news website that the Arab response to the Yemini crisis would be addressed at the Arab League summit in Sharm El-Sheikh next week. "The whole matter will be discussed at the summit and the necessary decisions will be taken," the spokesman said. UAE-based Sky News Arabia reported that Yemen's Foreign Minister Riad Yassin had said Egypt and Gulf Arab states had agreed to intervene militarily in Yemen. Yassin later denied he made any such comments. However, he urged quick Arab political and military intervention in Yemen against Houthi militants. According to Egypt's state news agency MENA, Yassin warned against the threats facing Yemen after meeting Arab League secretary-general Nabil El-Arabi in Sharm El-Sheikh. "We agreed to hold a meeting on Thursday about the situation in Yemen on the sidelines of the Arab League summit," Yassin told reporters. Yemen's top diplomat said Arab military intervention should occur "as soon as possible." Earlier Wednesday, Egypt's diplomatic mission to Yemen left the city of Aden as Shia Houthi militias moved in. Yemen's embattled President Abd-Rabbu Mansour Hadi, who has been recognised by Egypt as the legitimate head of the crisis-ridden country, has fled his palace in the city which he had recently declared a temporary capital.